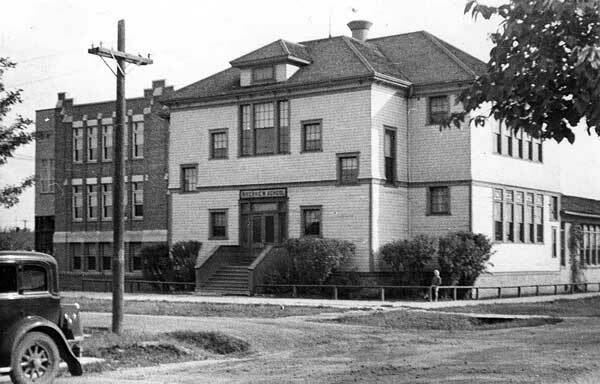 Until the Riverview School was built, students in this area of Winnipeg attended class in rented space in the Riverview Presbyterian Church. 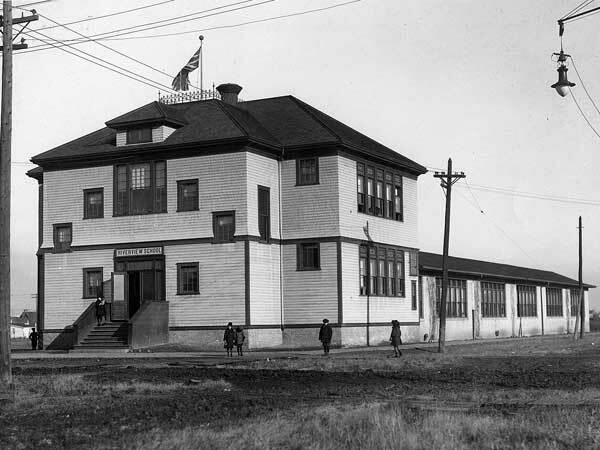 In 1908, the Winnipeg School Board purchased a plot of land bounded by Casey and Fisher streets, and Bartlett and Maplewood avenues, and built a two-storey frame structure on it later that year, at the corner of Casey and Maplewood, on a design by architect J. B. Mitchell. It contained four classrooms and accommodated 196 students when it opened on 10 November 1908. Ten years later, a one-storey annex with eight-classrooms were added. 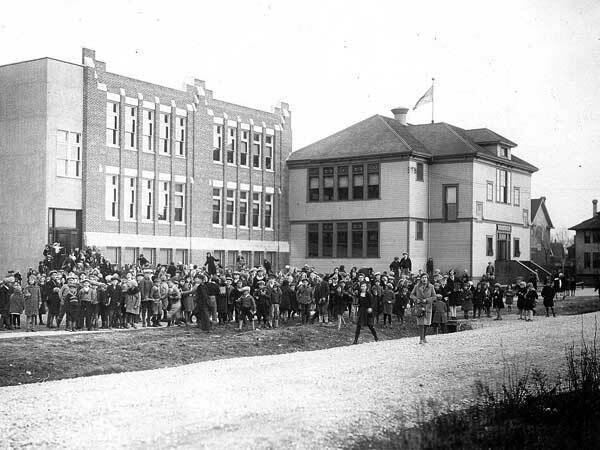 By 1922, the school’s enrollment was risen to 495 students. The present two-storey brick structure was built in 1929 under the supervision of W. A. Martin and, for a time, the original two-storey frame structure remained in front of it. “Two new schools,” Manitoba Free Press, 9 November 1908, page 3. “Winnipeg schools, No. 27—Riverview,” Manitoba Free Press, 16 November 1922, page 10.